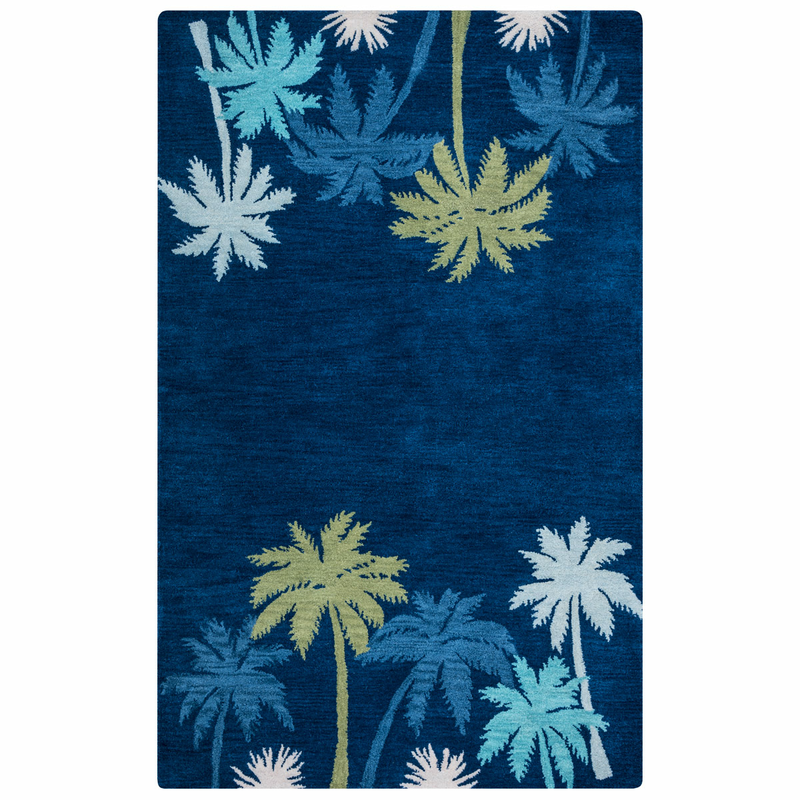 Decorate your family room in style with the tropical Cabot Bay Blue Palms Rug - 8 x 10. This nautical area rug is embellished with fun blue and green palms on each end of a navy background. For additional items, we invite you to take the time to shop our extensive collection of coastal area rugs at Bella Coastal Decor today.